2013 is here and it's slated to be the biggest e-commerce year in history. Consumers will demand more from the digital properties they visit and businesses will race to not only provide a streamlined user experience, but also one that is personalized and intuitive. To ensure your enterprise gets its piece of the digital pie, prepare it for these 13 e-commerce trends for 2013. Personalization is nothing new, but its widespread popularity is thanks to easily available complex technology. Whether personalization is simple (based on one or two collected insights) or complex (based on multiple insights processed by detailed formulas and algorithms), consumers are going to see sites that increasingly reflect their interests,wants and needs—and have little patience for sites that don’t. Major industries like finance, travel and media will lead the charge, but also expect businesses in other industries, such as gaming and charity, to take advantage of personalization solutions to offer more custom experiences. Consumers will begin to see the data they share online—age, geography, life stage, social profile information (e.g., married vs. single) put to use in offering them a more relevant shopping experience. The result? No more wading through irrelevant offers or products to get to what matters to you. Sure, past site visits and stored information will always be important, but don’t you want to give customers content and offers that are relevant to their current visit? With real-time personalization, online retailers will ensure they are creating an even more timely and custom shopping experience. Loyalty programs aren’t just for frequent flyers anymore. They’ll become an important part of the ecommerce lifecycle as businesses across industries (retail, finance, etc.) launch loyalty programs—and integrate data into comprehensive customer profiles—to offer the next level of personalization and service. In 2013, anentirely different mobile game will emerge as mobile pulls up alongside—and even threatens to pass—the traditional web experience. It’s no longer enough to just ensure that your site functions properly on mobile devices, or that you have an app presence. As consumers adapt to living their lives from their mobile phones and tablets, they’ll expect platform-specific offerings that offer a better shopping experience, geo-specific content, special offers, and other elements that complement and enhance life on the go. Apple might still lead the smartphone charge, but they aren’t the only player in town—and you shouldn’t assume that your consumers are all on the same device. Responsive design will be a must have for mobile sites, ensuring your site is designed for optimal viewing no matter what mobile or tablet device is being used. Gone are the days of resizing, scrolling, and otherwise struggling to view a site depending on the size of your computer or device screen. PCs rule the workday, tablets are used in the evening and phones are always there. Whether its online or offline, on a mobile device or PC, marketing and offerings must be fully integrated with an on-the-go user in mind. From the introduction of mobile devices and tablets in store as a way for consumers to browse and engage to the mapping of online and offline shopping profiles, the two worlds are colliding—and overlapping. Consumers will expect a completely seamless shopping experience no matter where they are—at their desktops, on their smartphones and tablets, or on social pages and sites. Thankfully, with emerging tools and technologies, it’s now easier to integrate CRM and multichannel data across all brand touch points. The phenomenon of ‘Big Data’—while overhyped to some—will actually be a very powerful trend if companies can harness its power and use it wisely. Brands that measure, analyze and directly translate this knowledge into improved decision-making and customer experiences will improve business performance. In the coming year, expect to see more brands getting a handle on this to offer customersmore targeted offers across all channels, in real-time. 2013 will see the end of big data as something to be feared. Instead, consumers will feel the benefits of a more personalized, customized online experience that saves them time, introduces them to new products, and helps them shop better for themselves and their loved ones. Probably one of the most important channels we’ll see come of age is social media. For too long, marketers have treated social media as an island from the rest oftheir strategy—and failed to capitalize on its connection to selling. Going forward, we’ll see more brands using social data to personalize experiences on the website, as well as applying testing and personalization to their own Facebook pages. When it comes to testing and personalization, consumer-facing businesses aren’t the only ones catching on. B2B companies—and their customers—are consumers that crave a great online experience to. More and more B2B sites will use testing and personalization to create well-optimized and targeted sites based on user behaviors. About the Author: A career-long evangelist of online businesses, Mark is the commercial founder of Maxymiser and introduced its revolutionary Conversion Management platform to the market in 2006. Prior to Maxymiser, Mark headed up online marketing and business development for Travelport, focusing in particular on the acquisition and integration of ebookers, Octopus Travel, Hotel Club and RatesToGo. Latterly Mark headed-up the Business Development, Search and PPC teams for Travelport. 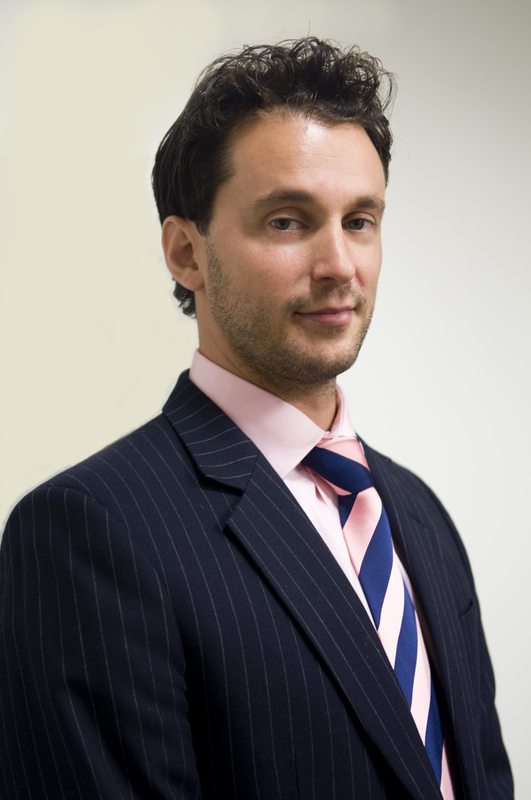 Mark was previously part of the team that launched Hitwise in the UK market.